KANNAPOLIS, North Carolina (March 7, 2018) – Aric Almirola and the No. 10 Smithfield Ford Fusion team continue their journey on the “NASCAR Goes West” swing of the 2018 Monster Energy NASCAR Cup Series schedule. This weekend marks the second of three consecutive events along the western part of the United States. 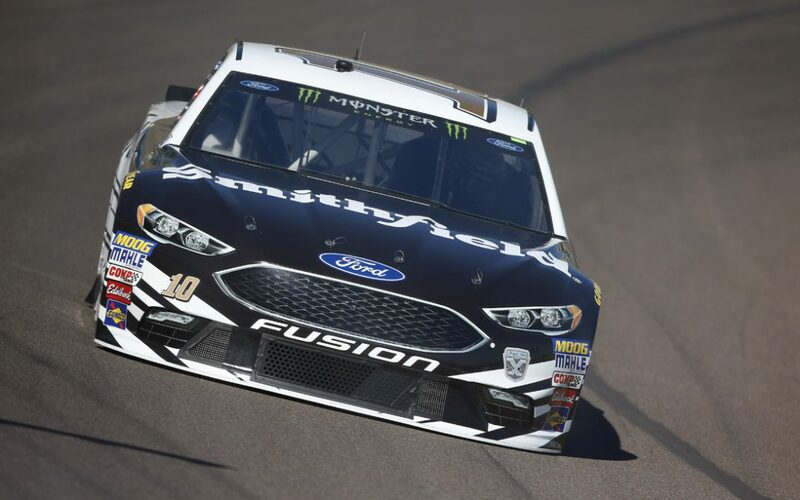 Almirola heads to ISM Raceway near Phoenix coming off a 10th-place finish Sunday at Las Vegas Motor Speedway. Aric Almirola will make his 15th Monster Energy NASCAR Cup Series start at ISM Raceway located near Phoenix this weekend to bring his total Cup Series career starts to 248. His best finish of ninth at the one-mile oval was earned in November 2017. * The 33-year-old has completed 99.9 percent of the possible laps at the short track venue. Throughout his career, Almirola has made NASCAR Xfinity Series and Camping World Truck Series starts at Phoenix. *The Smithfield driver has completed seven starts in the Xfinity Series and earned the pole position in November 2011. He also led a total of 74 laps during his time the Xfinity Series car. *Almirola has three starts in the Truck Series at Phoenix earning two top-five finishes and leading a total of 52 laps. Phoenix is the first short track of the 2018 season for Almirola and the No. 10 team led by crew chief and University of Maryland, Baltimore graduate Johnny Klausmeier. The Tampa, Florida native enters the weekend coming off of his first top-10 finish of the season. *All four Stewart-Haas Racing (SHR) drivers are ranked in the top-13 of the driver point standings. *SHR’s No. 4 team driver, Kevin Harvick, captured his second consecutive victory of the season at Las Vegas Motor Speedway. Crew chief Johnny Klausmeier is in his first full-time season as a Cup Series crew chief. The native of Perry Hall, Maryland transitioned from an engineer to Almirola’s crew chief for the 2018 season. Klausmeier has one win as a substitute crew chief while filling in for Tony Gibson at Pocono (Pa.) Raceway in June 2016. As a race engineer at SHR, Klausmeier has worked with drivers Ryan Newman, Danica Patrick and, most recently, Kurt Busch. The 2018 season marks the 10th anniversary of SHR. The Kannapolis, North-Carolina-based team is co-owned by Tony Stewart and Gene Haas and has recorded 40 victories and 35 poles since its inception in 2009. Stewart won the 2011 NASCAR Cup Series title and Harvick gave SHR its second title in 2014. SHR’s Kurt Busch won last year’s Daytona 500, and Harvick won June 25 at Sonoma (Calif.) Raceway and Nov. 5 at Texas Motor Speedway in Fort Worth. Harvick is coming off of back-to-back victories – Feb. 25 at Atlanta Motor Speedway and Sunday at Las Vegas. At Phoenix, SHR owns five victories, 16 top-five finishes and 23 top-10s in 54 starts.